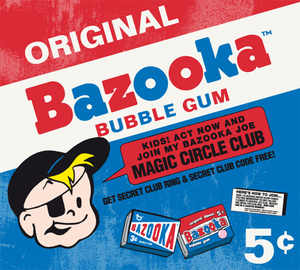 A new commercial for Bazooka Joe gum, played over the credits of last week’s 30 Rock in the States. Stacy Keach: he talks the talk that Chuck Norris walks. Posted in Misc and tagged commercial, Stacy Keach at 9:15 am on April 22, 2012 by Broadsheet.